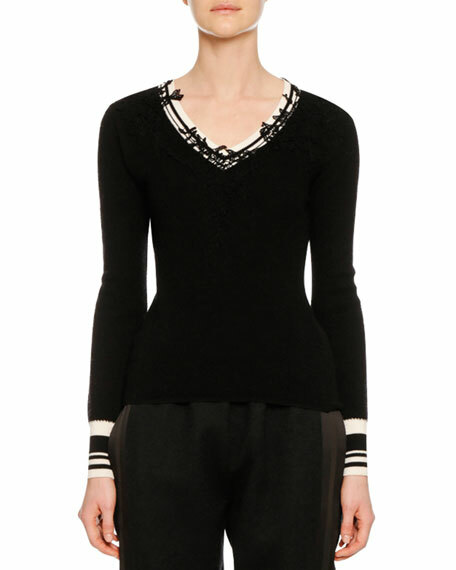 Ermanno Scervino sweater with lace applique. Athletic striped knit neck and cuffs. For in-store inquiries, use sku #2588004.